Retirement Plans - Ramblings of Mad Shutterbug & the Border Collie Bros. 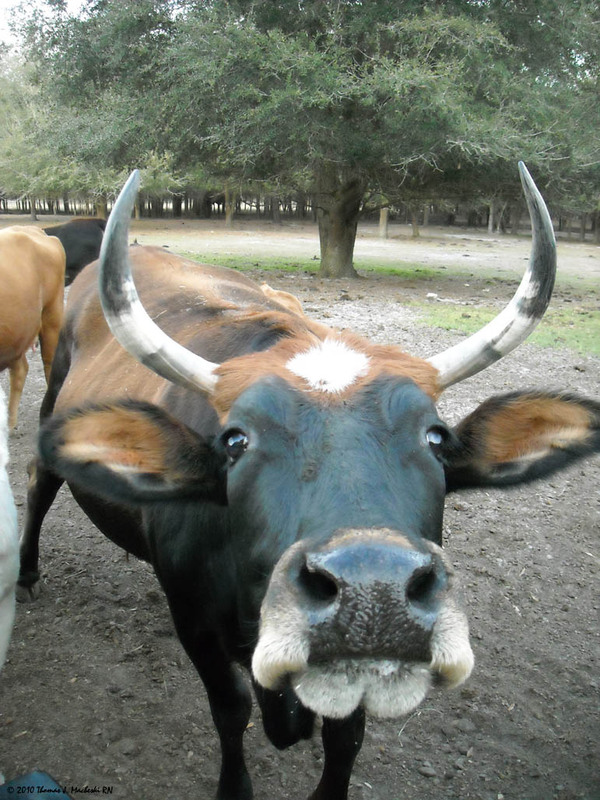 Despite being the subject of several photographs, do not misconstrue the cows as pets. Nor should a name be taken to mean this cow is a pet. A unique combination of letters in the key field of a database is a required value, and the database is the inventory of shares in the live stock market. One of the things I'm feeling lately is that I'm not contributing much; not a lot of chatter. I may 'swing' through while in Hospital these days, don't usually log in though. And I'm tired by the time I get on-line at home, forgetting things I thought about nattering on through the day. On another hand, Houdini and I walked about with the camera today when we made evening rounds, and thus this portrait of Rowena, second oldest cow in the herd, dame to several calves, and smart enough to learn at a younger age that wandering over the fence where the growliebeasts roam is not a good idea. Still, you probably don't want her retirement plan. Be that as it may, I don't think I'll be telling my mum that she shares a name with your second-oldest cow. Probably wise. I'm not sure I'd tell your mum that either. See? Once I name something, I cannot eat it. Heck, when we had pet chickens I couldn't eat ANY chicken. That being said, that's a GREAT cow picture.